PALMER -- The top emergency official in the fastest-growing part of Alaska has resigned, accusing borough employees and assembly members of undermining his actions. Otto Feather served as director of the Matanuska-Susitna Borough emergency services department for just under two years before tendering his resignation Jan. 2. The borough manager accepted Feather’s resignation on Tuesday. Mat-Su, the state’s second-largest municipality with more than 100,000 residents, still relies on a corps of paid on-call rather than full-time emergency responders. Feather, a retired U.S. Air Force colonel, presided over the department during the Nov. 30 magnitude 7.0 earthquake and took the blame following criticism of a lack of public information about the situation in Mat-Su that day and for several days after. His sharply critical resignation letter references internal “institutional parochialisms, selfishness and duplicity” and “unchecked sabotage” by borough employees and assembly members. Feather did not respond to a request for comment Wednesday. Moosey thanked Feather for his service in a letter Tuesday accepting the resignation. Both letters were obtained by Anchorage Daily News through a public records request. The manager on Wednesday declined to answer questions about Feather’s criticisms of internal subterfuge. A family issue Outside took him out of state until this week, Moosey said, explaining the delay between Feather’s offer to resign and his acceptance. Criticism surrounding public information on the earthquake -- particularly from the borough mayor -- certainly appeared to play a role in Feather’s departure, he said. Borough firefighters and medics spent the day of the quake on scores of calls including several structure fires and dozens of reported gas leaks. Several roads in Mat-Su suffered serious damage. The borough posted one press release and a little over a dozen information updates on websites and social media but held no press conferences until four days later. Three days after the quake, Borough Mayor Vern Halter publicly chastised the lack of information in a Facebook post that described “a total breakdown from the standpoint of public relations and information sharing from the borough.” He accused officials of cutting the borough’s public relations department out of the process. Longtime public information officer Patty Sullivan was out of that position when the quake occurred. Feather and Moosey declined to say why at the time. Sullivan had held regular briefings during major disasters like the Sockeye Fire in Willow and several floods over the years. She remains the borough’s public affairs director. Feather’s last day was Tuesday. He was earning a nearly $130,000 annual salary including benefits. Before taking the job in January 2017, Feather served as U.S. Sen. Dan Sullivan’s state director and was also flight operations director for Alaska Missionary Aviation. A command pilot, Feather flew 241 combat sorties while serving in Afghanistan and Iraq, according to a bio the borough released upon his hire. As wing commander of Yokota Air Base near Tokyo, he directed the U.S. hub for Japanese relief efforts after the 2011 earthquake, tsunami and nuclear disaster. He also served as the borough’s deputy director of fire for a short time in 2013-14. Feather, who in his letter described “organizational dysfunctions that have existed for years," is the latest in a series of directors under Moosey’s supervision to leave top positions at emergency services since 2015. The department went through a major upheaval that year as a number of top emergency officials departed. The department has also suffered from responder attrition in recent years. Of the roughly 230 emergency services employees, about 65 are full time, according to a tally this week from the borough’s human resources department. That’s sharply down from more than 450 total responders on the books when former director Bill Gamble stepped down in 2017. The number of full-timers grew, however, to about a quarter of total responders from fewer than 10 percent in 2014. Paid on-call responders can’t work more than 29.9 hours a week to avoid triggering benefits. That leads to high turnover as well as training and recruitment challenges, officials say. Nine emergency responders accused the borough of not paying them state retirement benefits in a 2014 class-action lawsuit the borough settled the next year. Moosey said the borough is “trying to serve more people with similar dollars. The call numbers are up." 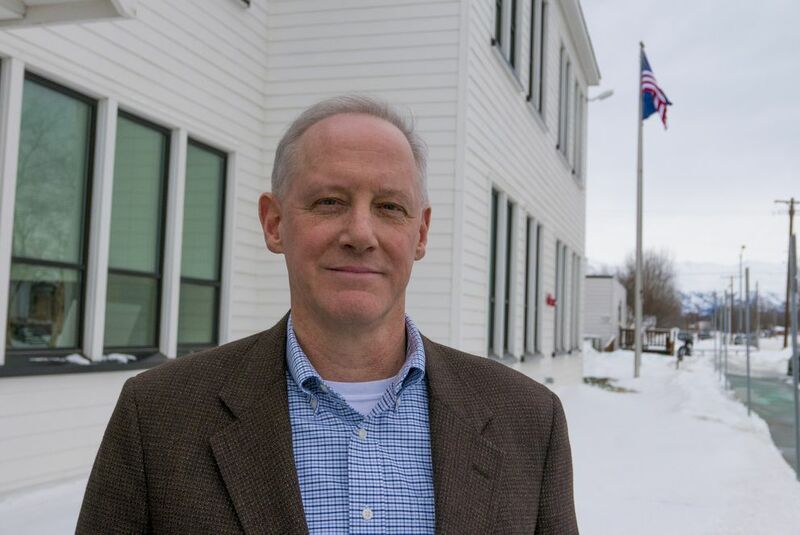 The manager on Wednesday said he plans to implement an external search for a new director and appointed the borough’s deputy emergency services director, Ken Barkley, as interim director of the department, effective Saturday. The borough is still working on a new public information policy.